يقع Geeky Gecko Backpackers في منطقة مشهورة للغاية في المدينة. هذا الفندق هو من الخيارات الشائع بين المسافرين. يقع مركز المدينة المثير على بعد 0.6 km فقط. إن سهولة الوصول من الفندق إلى المعالم السياحية الشهيرة الكثيرة في المدينة هو استثنائي بحد ذاته. يقدم Geeky Gecko Backpackers خدمات لا غبار عليها وكل أشكال اللياقة وحسن الضيافة اللازمة لإسعاد ضيوفه. تتضمن الميزات الرئيسية في هذا الفندق: واي فاي مجاني في جميع الغرف, خدمة التنظيف يوميًا, مدفأة, خدمة غسيل ذاتية, تخزين الأمتعة. في الفندق غرف نوم يتجاوز عددها 14، كلها مجهزة بعناية وجمال وبعضها مزود بـ تلفزيون بشاشة مسطحة, اتصال لاسلكي بالإنترنت, اتصال لاسلكي بشبكة الإنترنت (مجاني), غرف لغير المدخنين, مكيف هواء. كما أن مجموعة الخدمات الواسعة الموجودة في الفندق لضمان راحتك تترك لك الكثير من الخيارات لقضاء وقتك أثناء فترة إقامتك. إن Geeky Gecko Backpackers هو خيارك لخدمة الفنادق الراقية في المدينة. Terrible! Dirty bathroom and dirty room. The sound insulation is so bad that we can hear someone just laugh and scream all night. absolutely loved the stay at Geckos! 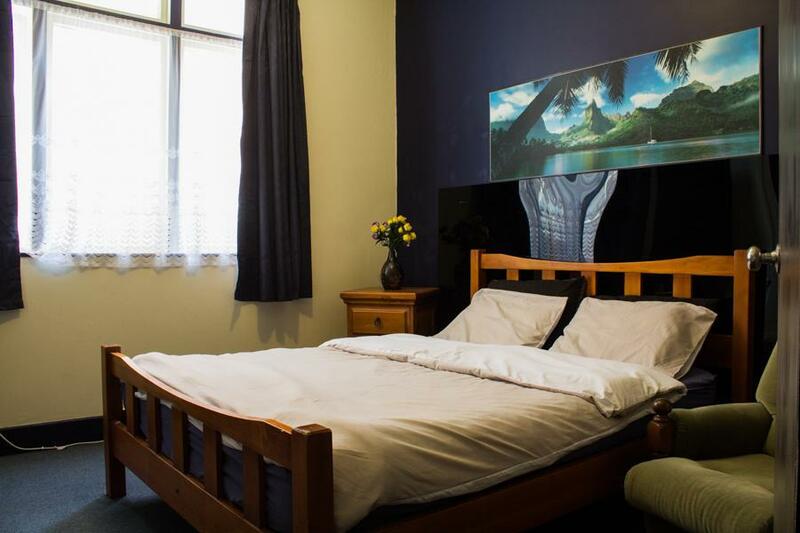 highly recommend if you are a student looking for a place to stay and don't wanna spend much especially if you are coming in to Dunedin for a concert or any event, absolute value for money! Lovely staff and were really helpful throughout our stay, thank you your hospitality! wish that the kitchen stayed open after 11pm tho, especially for a cuppa before bed or to refill water but other then that would recommend and would book again for another stay if I need to come in to Dunedin again. Cheers! Very friendly staff, comfortable accommodation, good value for money. What else can you get in 50$!! 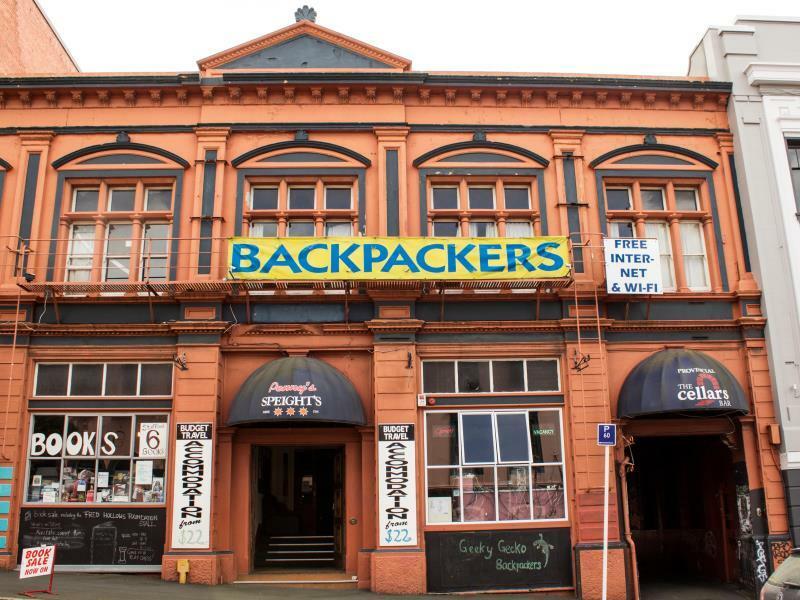 First payed online, then in backpackers when they claimed no money had been sent through. Ended up paying 100 instead of 50. A double bunk that shakes and squeaks at the slightest movement from either sleeper. Constant squeaking from bunks in other rooms. A room with no external windows and people thudding up and down the hallway all nights on creaky floors. A shower that leaks water all over the floor, and nowhere to put your clean clothes to keep them of the floor. Very bad experience. I know this is backpacker. I can't habit to stay in old buidding and not good smell place. Because too much people use toilet together.Not really clean. me and my friend had a good and confy stay. rooms were clean, enough bathroom is available. nice kitchen. Parkingspace around the corner. city-center 10 min away. 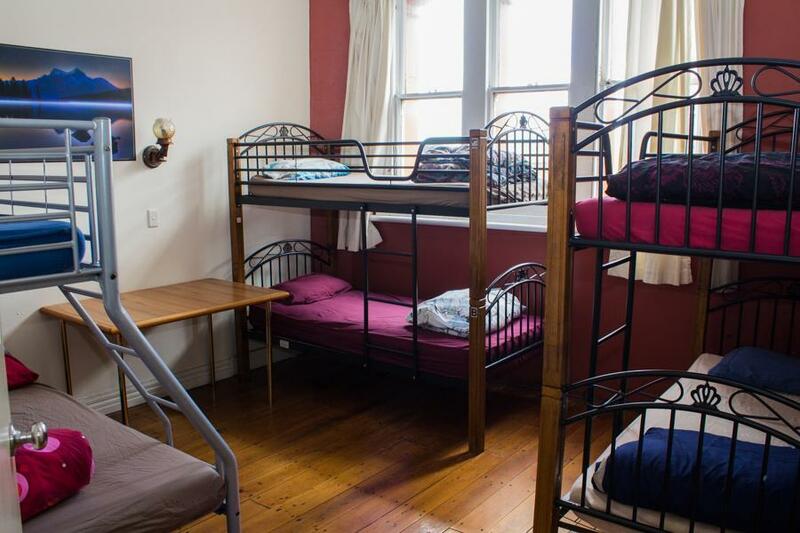 This hostel is look nice, cheap as it is. I booking online and can get 37 NZD for woman dorm shared bath room (stay only 1 night). My room was on the 2nd floor next to the smoking area. But compare the room with people in the morning the toilet and bath room is still not enough. I traveled form Wellington to Dunedin by airplane, arrive there about 10.30 am. Check in 2 pm, so we can stay in the living room and lounge. Staff there is kind,in my room we have TV, and Air con. But at the night time it is very noisy we can hear some people they on phone even it was 10.30 pm night time. The kitchen full with people also in the morning, at night after 10.00 pm kitchen close for cleaning . Some time we have not much time to eat coz an evening crowded with people. This hostel economic but some distant, if we take shutter bus form Dunedin airport it is easy taxi (cost 29 NZD) drop us in front off hostel. Distant walk about 800 meter to Octagon straight way, walking more distant about 1.8 Km to Dunedin Railway. My Trip in NZ is wonderfull, I do love This small town, prefer than Wellington city or other big city, few night may be good to explore this area. if some one take the bus (Intercity is better than Mana bus or Naked bus). Walk more distant form this hostel to the Intercity bus station. p.s My trip I book and traveler with Intercity and Manabus. But the Naked bus and mana bus late 4-5 hrs. Form Auk to WCC and form BUlls to WCC i have to spent more money to hire a car to WCC coz Mana bus late. Its a good backpack hostel with supporting staff. We checked in after office hour. They left key and documents for us. One of the staff helped us after office hour. It is almost at the city center. Everything is at walking distance. There are no parking so you need to park elsewhere. They will tell you where the free parking is.